Myriam Avalos was born in Peru and began her piano studies at the age of two. At three, she gave her first public performance and was admitted to the National Conservatory of Music in her native city of Lima. Winner of the concerto competition sponsored by the National Symphony Orchestra of Peru, she made her orchestral debut with that organization at the age of 12. She was awarded a full scholarship to the Eastman School of Music, where she earned her bachelor's and master's degrees in three years. Awarded a special grant from the Organization of American States, she studied in the United States with the renowned pianists Frank Glazer, Ellen Mack, Marilyn Neeley, Menahem Pressler and Harvey Wedeen, and in Europe with the Hungarian pianist Louis Kentner. In 1999 she earned a doctorate degree from the Catholic University of America, where she furthered her studies in piano and chamber music. 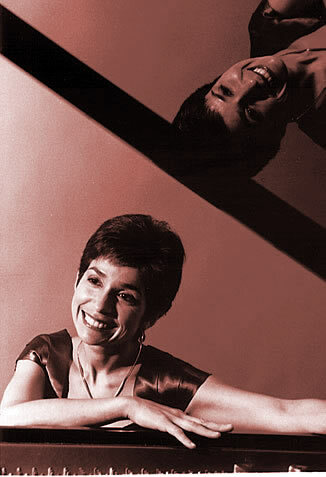 Dr. Avalos 's performances and broadcasts in Europe, Asia, North America and South America, including performances at the Kennedy Center, Purcell Room in London, Royal Academy of Music in Stockholm, the Phillips Collection, Dumbarton Concert Series, Victoria Festival and Bach Festival, have earned her critical praise as a soloist and chamber musician. In January of 2004, Dr. Avalos was conferred the title of Cultural Ambassador by the Government of Peru.